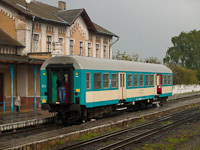 The voyage of the Transcarpathia-express in 2010. Red Bull Air Race Budapest - 2008. Farewell, UV trams, farewell, Szabadság-híd! 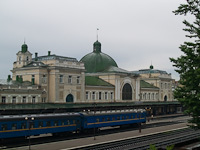 Katowice, Kraków and some Slovakian branch lines with historic trains. Class 628 freight diesel locomotives take over the trains around Székesfehérvár. Various narrow-gauge railways, high-speed trains and freight trains share these pages with metro and tram lines. Passenger and freight trains with diesel and electric locomotives in a surprise snowfall in April. 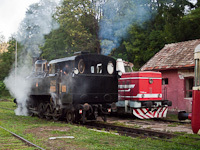 The Holiday Trains at the Királyrét narrow-gauge railway have presented themselves to the photographers. If you browse through the gallery pages, you're going to see the photos in order. Copyright Takács Bence and friends, 2005-2019.